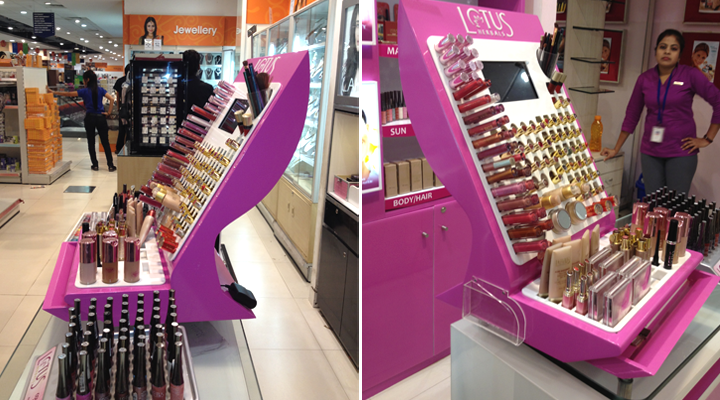 The Counter Display Unit (CDU) is arguably the most important point of purchase display for any color cosmetics company across the world. So Lotus Herbals is no exception there! CDUs house product testers so that the customers can experience the products on themselves ahead of making the purchase. 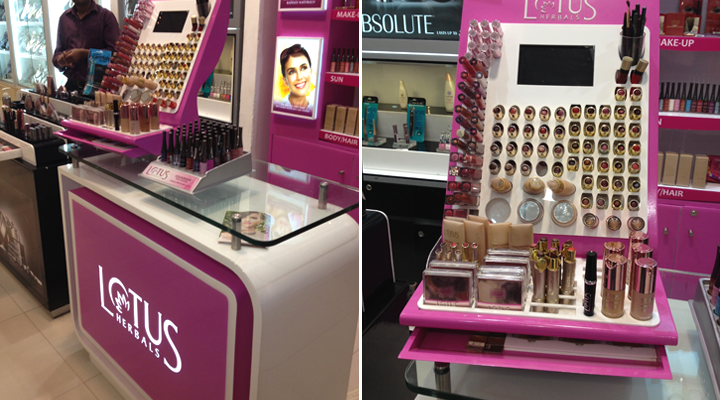 Lotus Herbals, through its CDU wanted to become the most visible and innovative tester unit in a fairly populated space where a number of Indian and International color cosmetics brands are attempting to capture the market. Their target audience comprises young college going women and professional women in the junior and middle levels of corporate hierarchy.